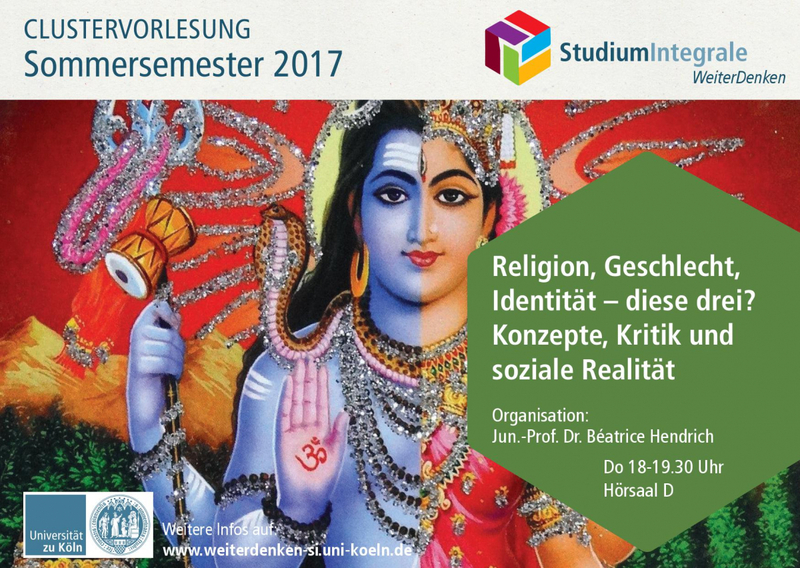 As part of the reformed Studium Integrale of the University of Cologne, the Faculty of Arts and Humanities offers the public cluster lecture "Religion, Geschlecht, Identität - diese drei? Konzepte, Kritik und soziale Realität (Religion, Gender, Identity - these three? Concepts, Critique and Social Reality)" in the summer semester 2017. The lectures are organised by Jun.-Prof. Dr. Béatrice Hendrich. 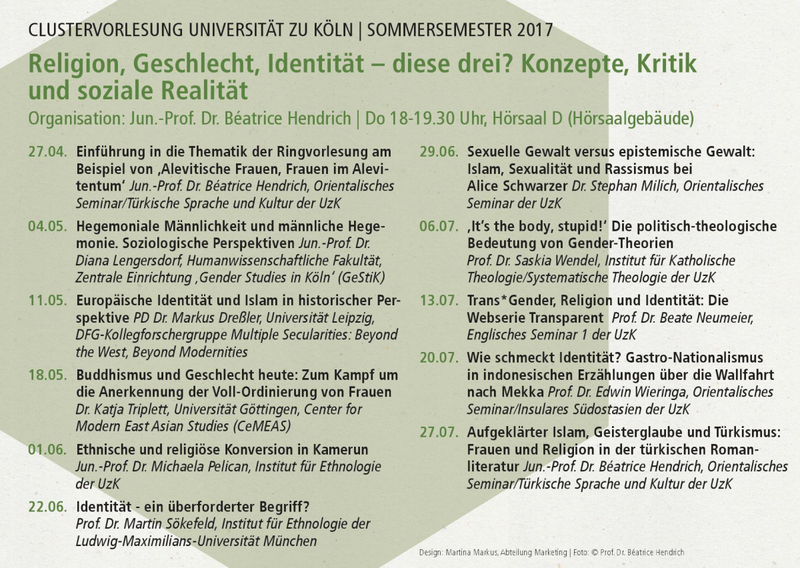 The KFG "Multiple Secularities" will also contribute to this series: On 11 May our Senior Researcher Markus Dressler will give a lecture titled: "Europäische Identität und Islam in historischer Perspektive (European Identity and Islam in Historical Perspective)". Our Senior Research Fellow Katja Triplett (15 May - 15 November 2017) will speak about "Buddhismus und Geschlecht heute: Zum Kampf um die Anerkennung der Voll-Ordinierung von Frauen (Buddhism and Gender Today: On the Struggle for the Recognition of the Full-Ordination of Women)" one week later on 18 May. All lectures of this series will take place in Hörsaal D (Hörsaalgebäude), 6 p.m. - 7:30 p.m.